This black and white periodic table chart is a simple, no frills periodic table. Each cell contains the element’s atomic number, element symbol, element name and atomic mass. This downloadable PDF version of the table is optimized for printing on a standard 81⁄2” x 11″ sheet of paper. There is a color version available for those with access to a color printer. Check out our other Printable Periodic Tables. 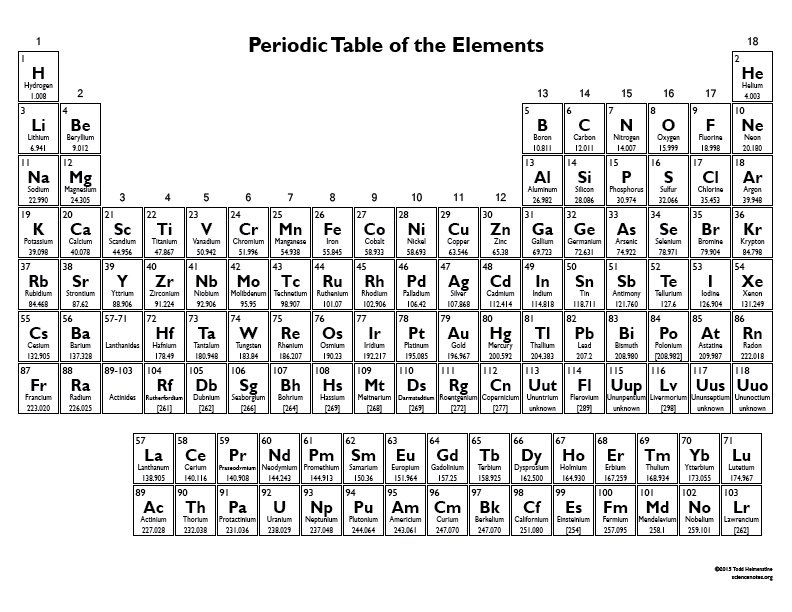 This table is an updated version of Printable Periodic Table Chart. The atomic mass values for iron and gallium have been corrected.